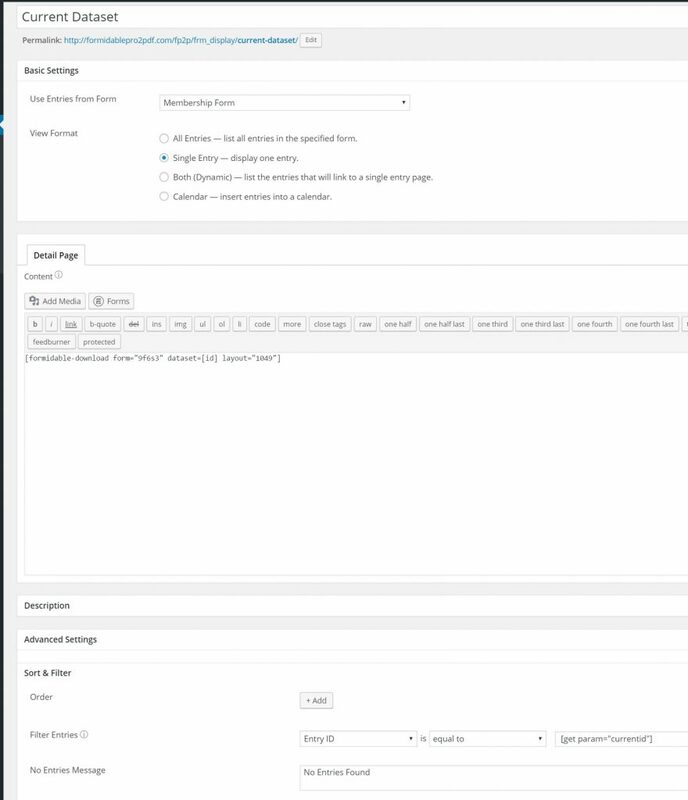 Use the shortcode in pages and posts simply by pasting the entire shortcode anywhere in the page or post. Follow the instructions below to use the dataset=[id] parameter with Formdiable’s On Submit → Redirect To URL option. 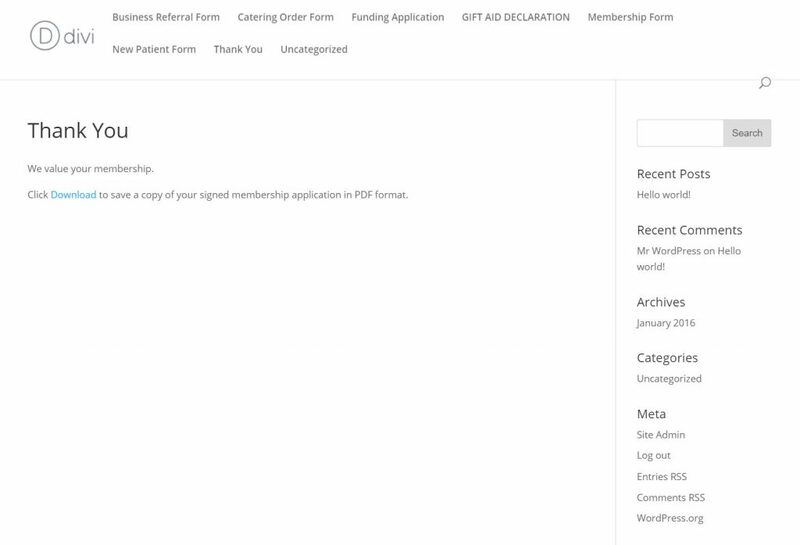 Select your form from the “Use Entries from Form“, in our example below we are using the “Membership Form”. View Format: Single Entry – display one entry. 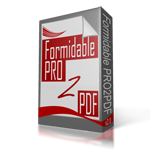 Paste the PRO2PDF shortcode in the Detail Page Content section using the dataset=[id] parameter. 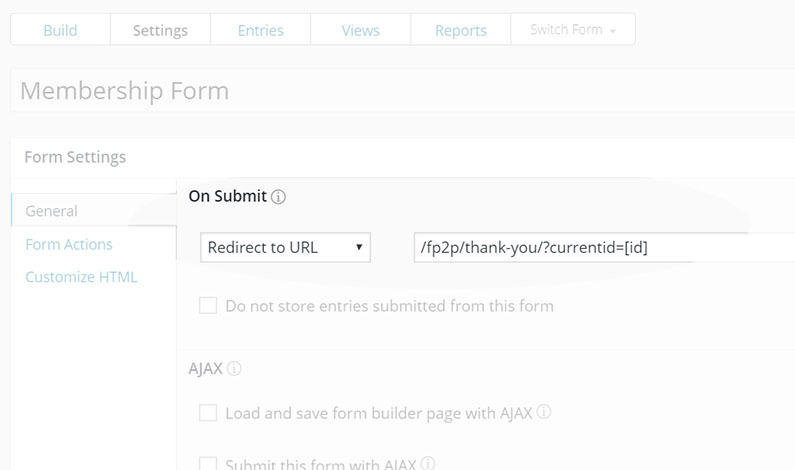 You’ll see a Download link exactly where you placed the shortcode, and the secure link will only open the current user’s entry ID that was passed as a parameter through the form’s Redirect to URL. NEED HELP? Then, we have a fiverr.com gig just for you!